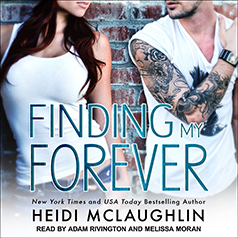 New York Times bestselling author Heidi McLaughlin presents the third novel in her Beaumont series. Everywhere I look, my friends are settling down—marriage, children, white picket fences; but not me. Marriage isn't in the cards for me. I'm a ladies' man. I love everything about my life, especially the attention from the women that my status brings me.Women find me. I don't chase. I know what they want and they know I'll deliver. But after one look, one touch, one night . . .